Match the action verbs to the pictures. 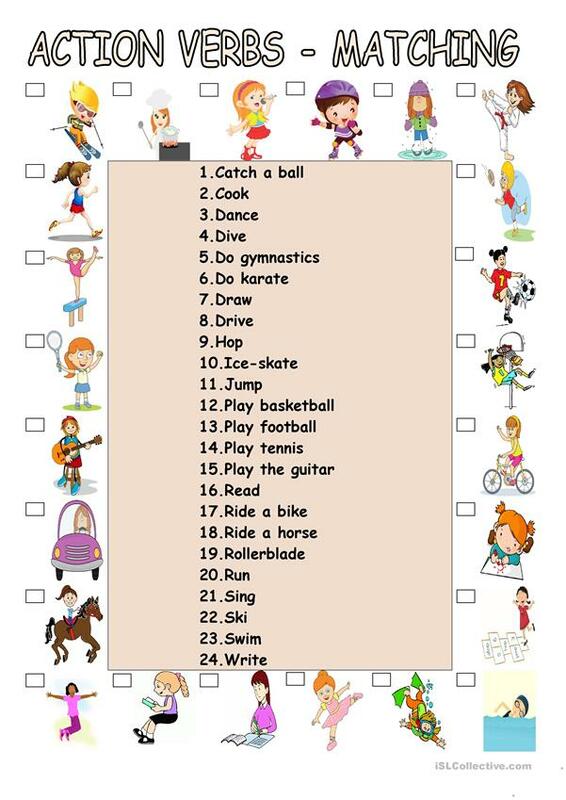 These 24 action verbs can be used in different activities. For example, students can express their abilities using the modal verbs "can" and "can't" (e.g. I can play football but I can't ride a horse), say how often they do these actions, etc. The above downloadable printable is recommended for elementary school students at Elementary (A1) and Pre-intermediate (A2) level. It is aimed at consolidating Verbs: Action verbs in English, and is excellent for improving your groups' Spelling, Speaking, Reading and Writing skills. It focuses on the vocabulary topic of Sports.